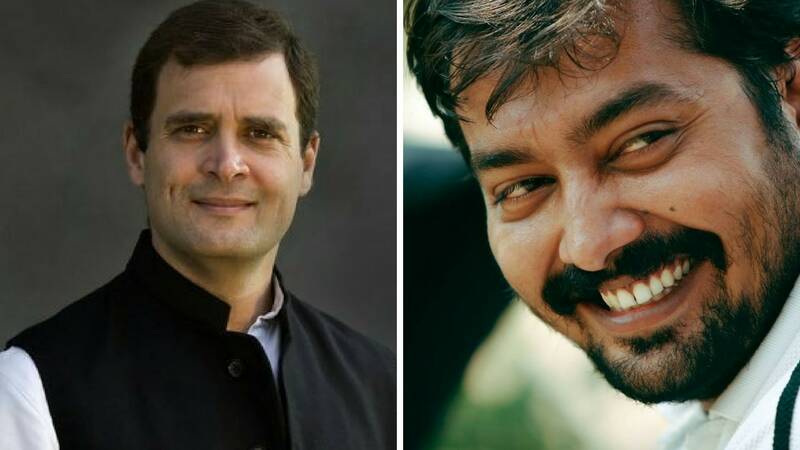 New Delhi: Anurag Kashyap has appreciated Congress President Rahul Gandhi's comment on freedom of expression as a fundamental democratic right, in the context of the filmmaker's web show Sacred Games. However, filmmaker Madhur Bhandarkar has questioned the politician. Netflix's Sacred Games, produced by the Anil Ambani-led Reliance Entertainment's Phantom Films joint venture, is facing a legal petition over the removal of certain content from the web series on the grounds of insulting Rajiv Gandhi. Author and screenplay writer Kanika Dhillon also lauded the remark. The filmmaker's Indu Sarkar faced the heat from Congress supporters who conjectured the film was an attempt to portray former Prime Minister Indira Gandhi and her son Sanjay Gandhi in a negative light. As for Sacred Games, it is based on author Vikram Chandra's eponymous novel. The show has references to the Emergency imposed by the Indira Gandhi government, as well as the Bofors scandal and the Shah Bano case that created a storm during Rajiv Gandhi's tenure as Prime Minister.